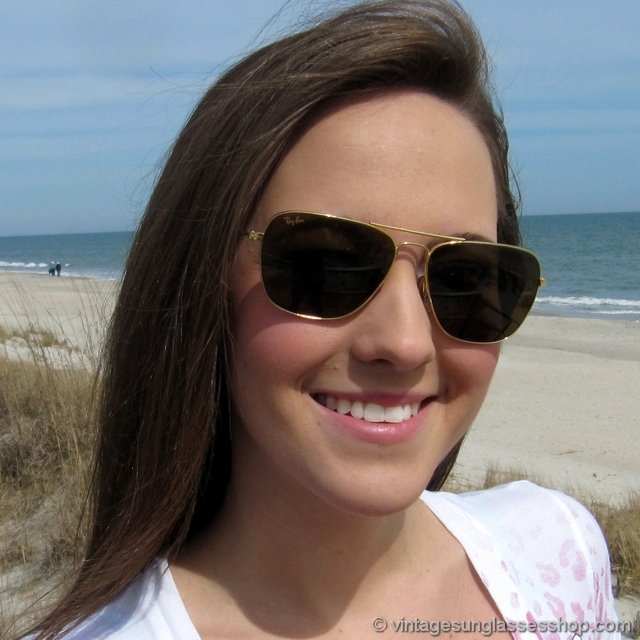 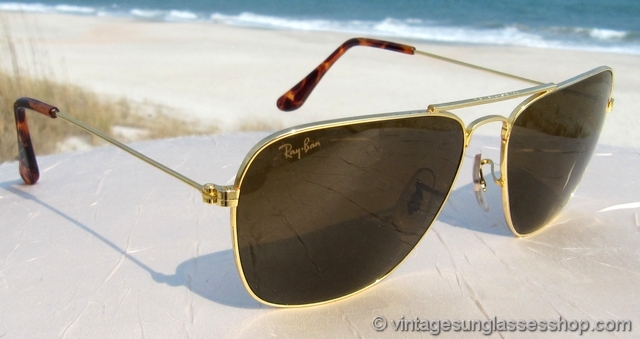 Ray-Ban 58mm Caravan sunglasses are a good unisex size and feature a gold plated Arista frame and B&L Ray-Ban brown B-15 lenses. 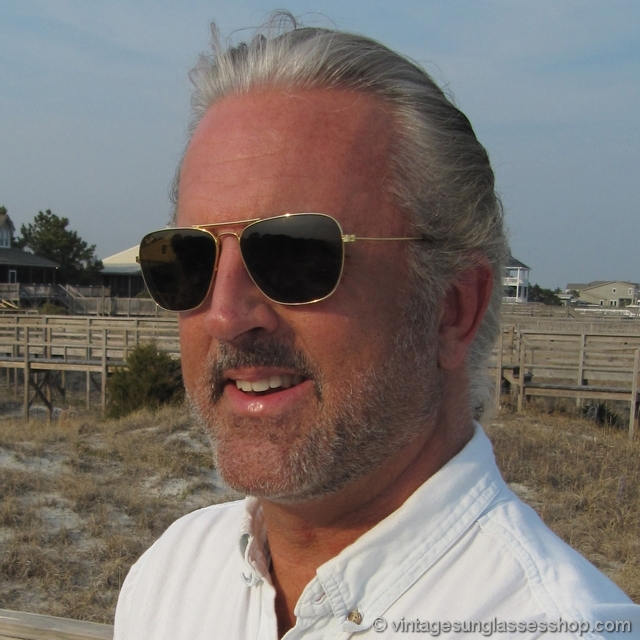 We like the use of tortoise shell ear pads to color coordinate with the moderately reflective B-15 lenses, and of course the gold and brown go great together. 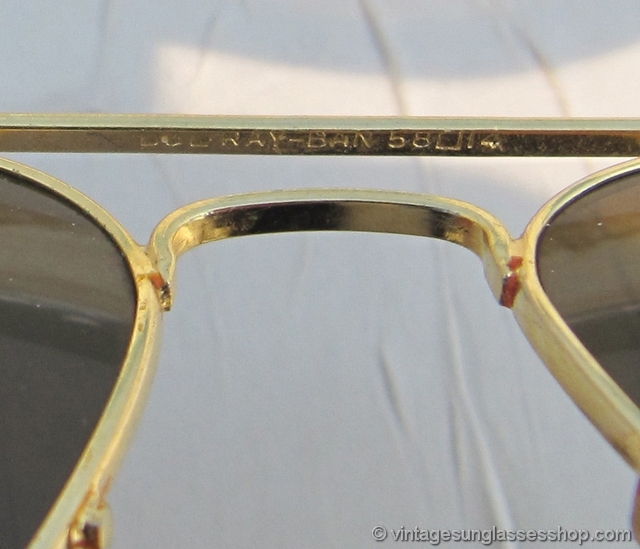 It's the classic B&L Ray-Ban Caravan lens shape measuring approximately 2.125" x 1.875" at the widest points in a gold plated frame that measures approximately 5.25" temple to temple. 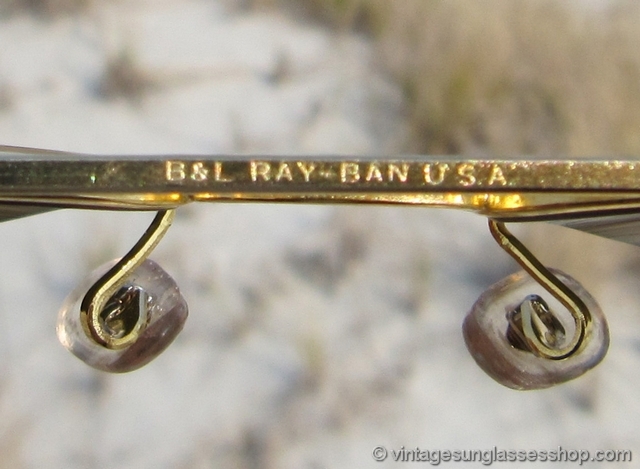 The top of the nose bridge is marked B&L Ray-Ban USA, and the bottom of the nose bridge is marked B&L Ray-Ban 58  14 all impressed in the gold plating. 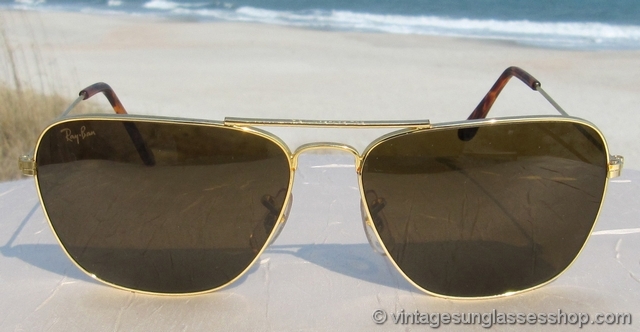 Both lenses are laser etched BL near the hinges, and the right lens is laser etched Ray-Ban c 1980s. 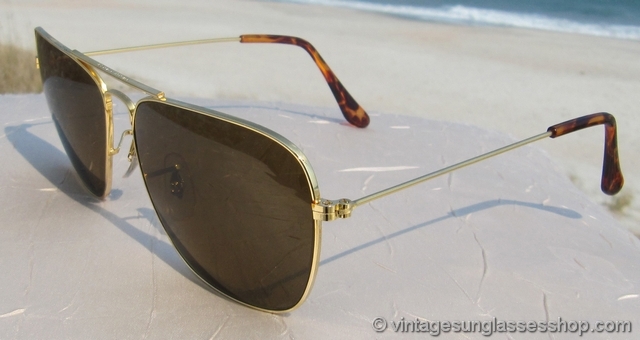 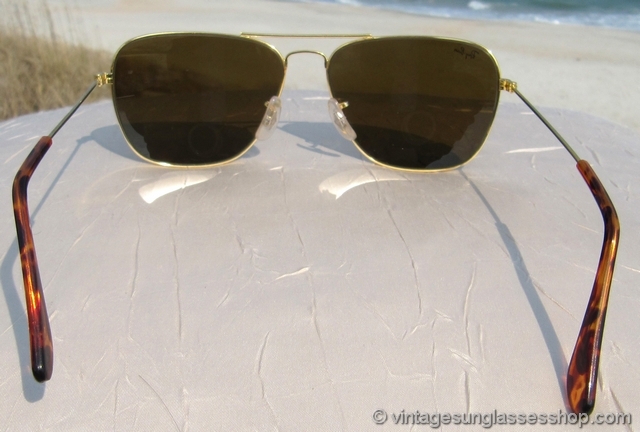 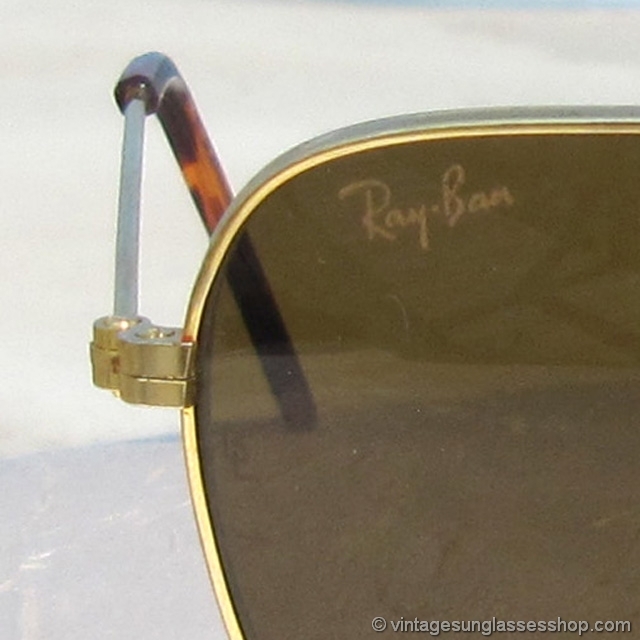 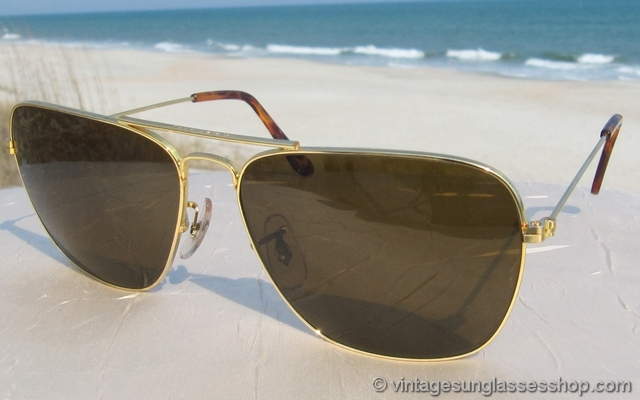 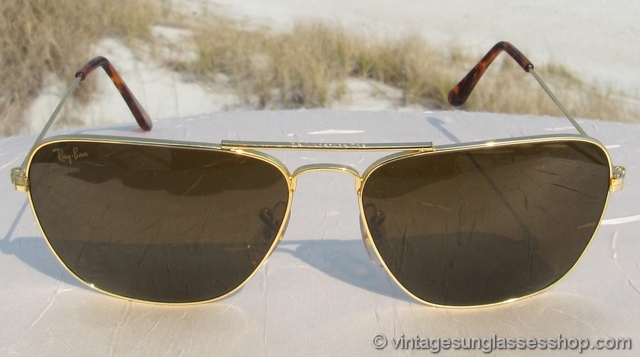 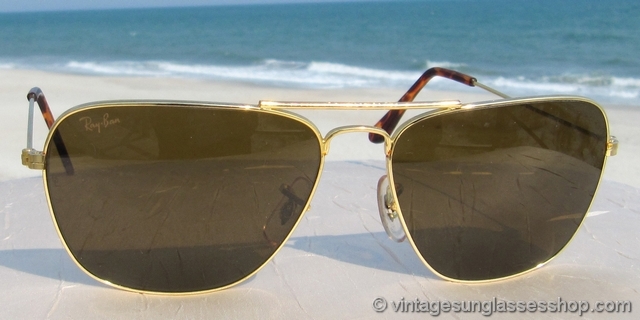 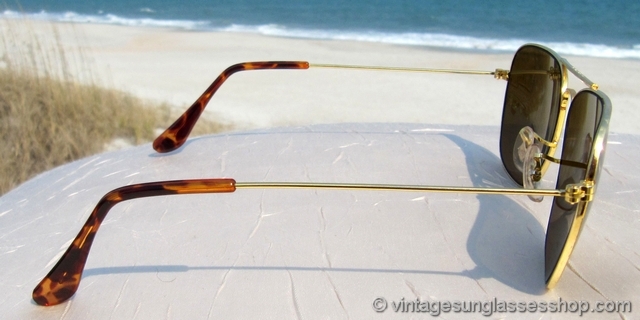 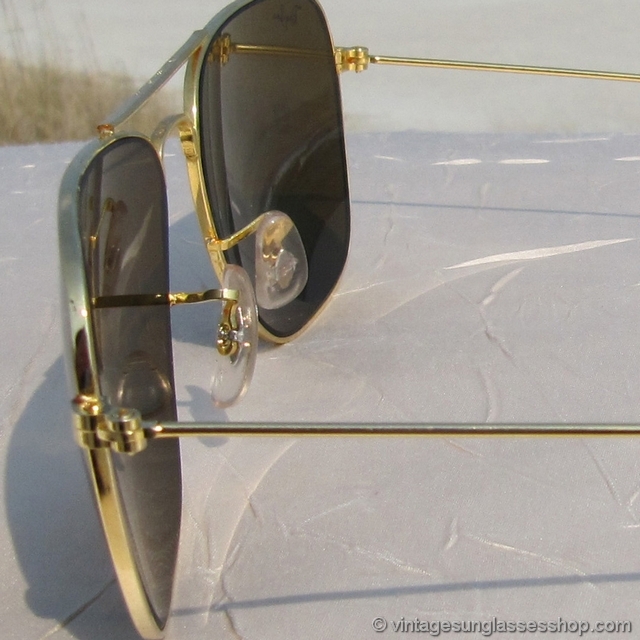 These are classy vintage Ray-Ban sunglasses with Bausch & Lomb optical quality, part of a major San Francisco, CA collector's collection of fine vintage eyewear and sunglasses.